Valley of Fire consists of bright red Aztec sandstone outcrops nestled in gray and tan limestone mountains. The sandstone is from the Jurassic period and is the remnant of the sand left behind by the wind after inland seas subsided and the land rose. Early man moved into southern Nevada as far back as 11,000 years ago. The most obvious evidence of occupation is the petroglyphs carved into the rocks by the Basketmaker culture about 2,500 years ago, followed later by the Early Pueblo culture. Paiutes were living in this area in 1865 when Mormons settled at nearby St. Thomas at the south end of the Moapa Valley. Farming, ranching and mining occurred in the region along a narrow stretch of water. A rough road was built through this area in 1912 as part of the Arrowhead Trail, connecting Salt Lake City with Los Angeles. This road allowed people to travel through what became known as Valley of Fire. In the 1920s the name was coined by an AAA official traveling through the park at sunset. This person purportedly said that the entire valley looked like it was on fire; hence the name. It was also during the 1920s that the archeological richness and recreational possibilities of the area were recognized and about 8,500 acres of federal public domain, the original Valley of Fire tract, were given to the State of Nevada. 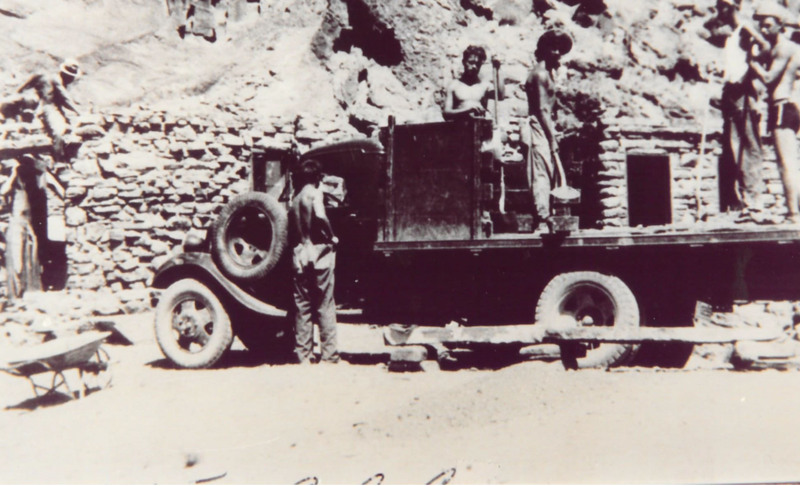 In 1933, the Civilian Conservation Corps built the first facilities and campgrounds in the park. On Easter Sunday in 1934, Valley of Fire was formally opened as Nevada’s first state park. However, the park didn’t receive its legal designation from the Nevada State Legislature until the body convened in 1935. Since then, the park has grown to its present size of more than 40,000 acres of multi-colored rock displaying a varied array of shapes and textures.